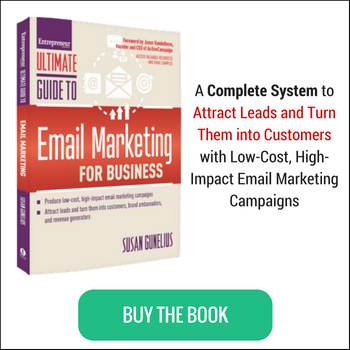 How to Write Messages that Convert Leads into Sales, is just $79! You’ll get my complete copywriting system, including 13 worksheets in 12 modules that you can start using immediately to drive better results for every ad, piece of content, brochure, social media post, email message, newsletter, and so on that you write. I’ve been thinking about launching high-quality online courses for the Women on Business audience for years, and the first course is finally here! I chose to launch a course about copywriting first for the same reason that the first book I ever wrote was about copywriting. I see so many ads, marketing materials, etc. that business owners have invested money in, but those ads and materials will never produce the results the businesses need. The majority of the time, the reason those ads and materials will fail is because the messaging didn’t get the job done. Unfortunately, even most self-proclaimed copywriters don’t really know what they’re doing. They can string a phrase together, but ask them why the specific words in that phrase are the best to generate quantifiable results for your business, and they probably won’t be able to give you a good answer. I know this system works because I’ve been using it for more than 20 years to write copy for some of the largest companies in the world. If they’re confident in my ability to craft compelling marketing messages, you can be, too. When you purchase this course, you’ll receive access to all course materials (including all 13 worksheets) for as long as the school is open as well as access to the private Facebook Group where you can ask questions and continue your learning during and after the course. Every lesson is short, so you only need to set aside a short block of time to get through each one. You’ll never feel overwhelmed! In addition, all materials are provided in written format, so you don’t have to worry about taking notes while you watch videos, nor do you have to try to remember which videos included specific content when you need to refresh your memory in the future. You can print every lesson, so it’s available offline. The success of every communication — from ads and websites to email messages and customer service calls — is dependent on the messages you choose to use. If you want to get specific results from your messages, then you need to learn the secrets of professional copywriters revealed in this course. Invest just $79 today to learn my complete system to writing marketing messages that convert leads into sales, and you’ll be on your way to getting the results your business needs. CLICK HERE TO ENROLL NOW or use the button below. Stay tuned for more courses coming to Women on Business School soon! If you’re interested in teaching a course through Women on Business School, don’t hesitate to contact us at anytime. Congratulations, this is awesome news! What a great (and needed) resource this will be. Thank you, Kelley! Now, we just need some courses from you to add to Women on Business School! I know how much you could teach the Women on Business audience! Absolutely! 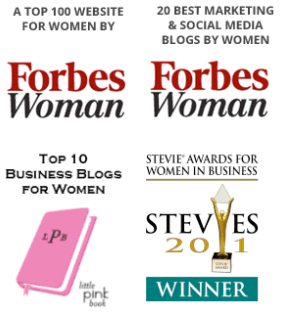 I’m so thrilled about this platform for all women business owners.